There are many prevalent myths, misconceptions, and misunderstandings out there when it comes to bankruptcy. Many consumers have some long-held belief about the concept that really have no strong basis in reality, for better and for worse. For instance, some consumers have a tendency to see bankruptcy as a complex, frightening, borderline-disastrous option for debt relief, which should be avoided at all costs, if at all possible. Others, in contrast, have a rosier view. For some people, hearing the phrase “bankruptcy” immediately conjures up the idea of having all of your debts simply eliminated with a snap of the fingers, no questions asked. Of course, the reality of bankruptcy exists somewhere between those two extremes. When handled well, bankruptcy can help relieve people and organizations of some debts, and allow them to restructure others. With this chance to hit “restart,” hopefully, the person or company can once again function in society and participate in the economy. What Debts Can Be Automatically Discharged In Bankruptcy? One of the most important things to understand about bankruptcy – and one of the questions we get asked most frequently – is this which types of consumer debts are automatically dischargeable, or able to be forgiven in bankruptcy, and which are not. There is a difference, and it’s important to get a handle on this, as early as possible! Bankruptcy may not automatically relieve you of all of your debts, but there are certain debts that are automatically dischargeable, in certain circumstances. Other types of debts, as we mentioned, can be restructured, in order to make them more manageable over time. Broadly speaking, the difference between dischargeable and non-dischargeable debts largely comes down to understanding the difference between secured and unsecured debts. Unsecured debts are those types of debt that are based purely on your promise to pay them back, usually with interest. This category includes most credit cards, medical bills, some retail store loans, payday loans, and so on. On the other hand, secured credit refers to those debts that are based on loans in which you offer property as collateral — maybe your home, your car, bonds, or some other asset, such as expensive jewelry. With this arrangement, if you do not pay the debt, the creditor has the right to take that piece of property in exchange. 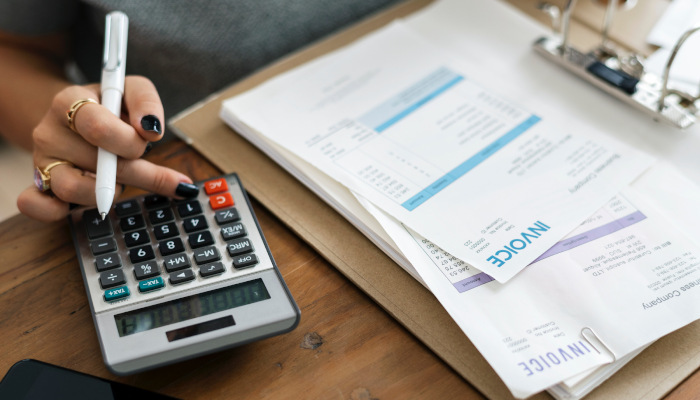 A handy rule of thumb is that many types of unsecured debts – such as unsecured credit card debts, medical bills, personal loans, and others – can be discharged in Chapter 7 bankruptcy. On the flip side, then, most secured debts – including secured loans, child support obligations, student loans, and tax debts – cannot be automatically discharged. As we said, this is a rule of thumb to go by, not an “end-all-be-all” guide. In some cases, for instance, student loan debts can ultimately be forgiven, with some savvy petitioning during the bankruptcy process. However, these debts are not going to automatically be forgiven. Ultimately, the goal of bankruptcy – broadly speaking – is to help consumers discharge the debts they can, and allow the remaining debts to be restructured. The hope is that a person who has filed bankruptcy will be able to breathe for a moment, then move forward with their financial situation much more manageable than it was. It’s important to understand that everyone’s bankruptcy process will be different, depending on their unique personal and financial circumstances. Bear in mind, too, that there are different types of bankruptcy. Generally, when we talk about debts being automatically discharged, we are referring to Chapter 7 bankruptcy, also called “liquidation” bankruptcy. Chapter 13 bankruptcy, often called “reorganization” bankruptcy, generally involves creating a structured repayment plan for debtors. Eventually – say, after a period of three to five years – remaining debts may be discharged, depending on the nature of your repayment plan. Are you weighing bankruptcy as an option for yourself? Before moving forward, it’s important to understand if you qualify for bankruptcy – and if it’s truly the best avenue for you. In other cases, there may be alternative routes to securing your financial future and getting a handle on debts, without having to resort to filing for bankruptcy. If you’re looking to continue the conversation with experienced bankruptcy attorneys in the Chicagoland area, don’t hesitate to get in touch with the Gunderson Law Firm. In your free initial consultation, our staff can help to provide you with actual, straightforward answers specific to your situation. No need to search for all the variables and hope you don’t miss any key detail — just call and we will help set you down the right path to the fresh financial start you truly deserve. At the Gunderson Law Firm, we will take all steps possible to protect you and your assets immediately and throughout the bankruptcy process, and can also counsel you on realistic ways to avoid such serious debt issues in the future. Whether you are a business owner, a wage earner, retired, or otherwise, we can address your specific situation with strategic plans to help put severe indebtedness behind you so you can enjoy life again. Drop us a line today to get the conversation started.